Whether it’s a leak in your tile metal or slate roof, Ian’s Roofing can help you. Even the best metal roofs can develop a range of problems over the years including leaks, rusting and drainage problems. Does your metal roof have one of these problems? 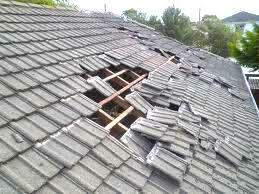 Roof leaks; Rust; Loose or damaged metal roofing sheets; Valley or ridge damage; Leaking skylights. Do you have a tile roof? Despite their reputation for durability and longevity, tile roofs can develop a range of problems over the years including leaks, cracks and damaged tiles. A common problem is the cement between the tiles wearing out. This causes the tiles to come loose and the loose cement will usually fall into the gutter and block the down pipe. So you can be left with loose tiles that let in water and blocked down pipes! Rebedding (re-cementing) and repointing (cement around the tile) of damaged tiles, valleys and ridges. Slate roofs can be the trickiest to repair. A good slate roof has copper clips to hold the slate on which also preserve the authenticity of the roof. Good slate roofers are also hard to come by. At Ian’s Roofing we have qualified slate roofers with 30 years experience. The main problem with a leaking slate roof will be that some of the slate has slipped. We can repair slate or replace slate depending on its’ condition. We have tradesmen who specialize in metal, tile, slate and copper work. We service the Inner West and the Eastern Suburbs.